Spectacles Update: Looking for a place to buy a pair of Snap’s new sunglasses with embedded camera? Unfortunately, the glasses will not be at a store near you anytime soon. In an unusual guerrilla marketing rollout, Spectacles are only being sold through bright yellow vending machines called SnapBots. 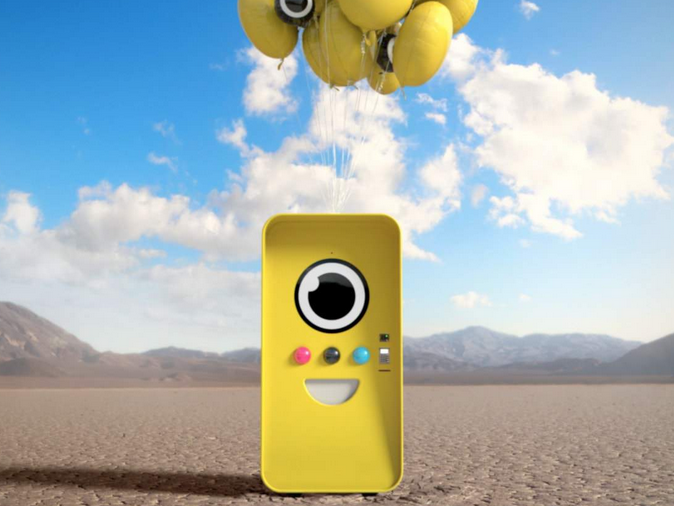 The first SnapBot was in Venice Beach on November 10, where the glasses quickly sold out to waiting fans. The pop-up shop model fits Snap’s playful brand, right down to having the kiosk disappear just like how photos disappear on Snapchat. Customers lucky enough to find a SnapBot can try on the glasses virtually at the kiosks using a circular display. Just to remind you what Spectacles are: the sunglasses can record 10 second videos, up to 30 seconds, using a 115 degree lens that closely approximates how the human eye sees things. Spectacles are priced at $130 and come in black, teal, and coral colors. Transferring videos is a ‘snap’ – the connection to smart phones and Snapchat is via either Wi-Fi or Bluetooth. It’s a big market, too. Snapchat app has 150 million users each day, and 41% are 18 – 34 years old. Kiosks are placed in a single location for only 24 hours so you have to move fast. If you want to know where the next kiosk will be, go to Snap’s Web site and cross your fingers it will be near you. Discuss guerrilla marketing tactics with students. Poll students: What other companies are using guerrilla marketing? How are these using it? Next, divide students into teams and have each team select a product. For that product, what could be done as guerrilla marketing?